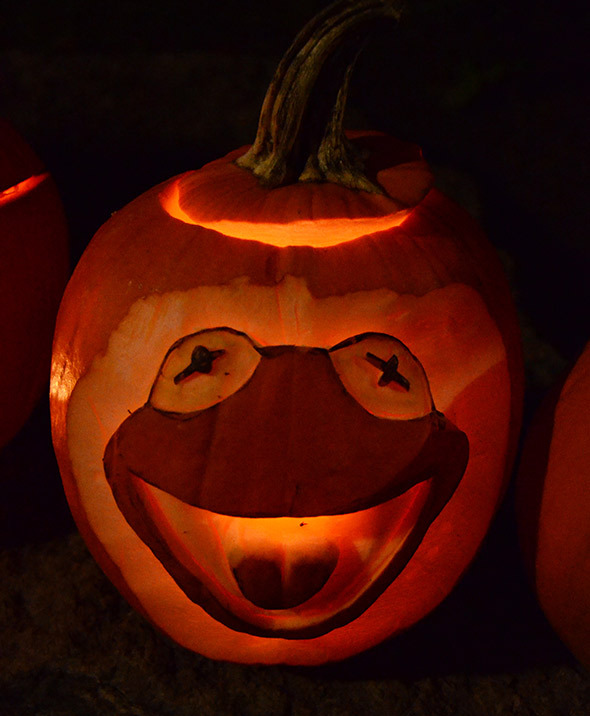 What do you do with your Halloween pumpkin after the big night has passed? 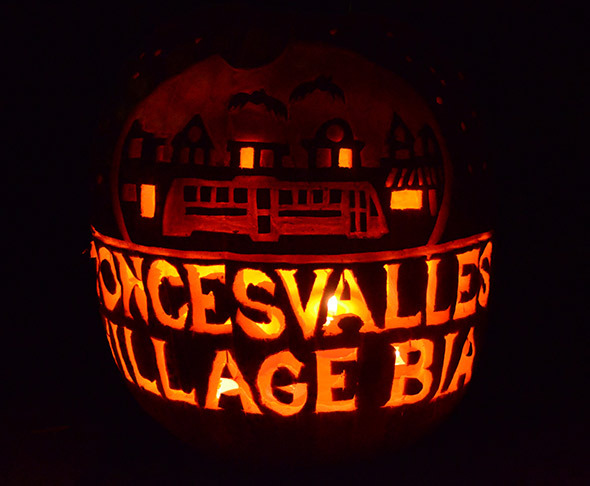 In one Toronto community the answer for the last eight years has been to hold a "Pumpkin Parade" on November 1st. 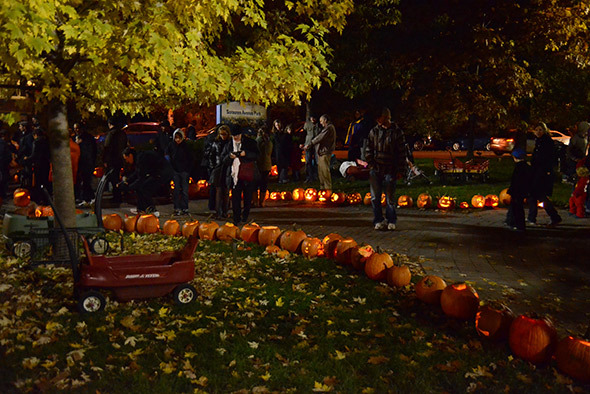 People bring their works of pumpkin art to Sorauren Park in the city's west end for one last hurrah. 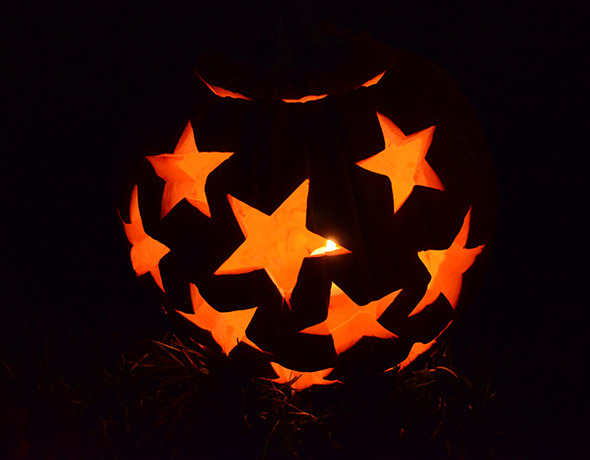 Although there were fewer pumpkins than in years past (likely because similar events have taken hold in other neighbourhoods), hundreds of people walked along the park's various pathway's and admired the many creative ways of decorating the big orange gourd. 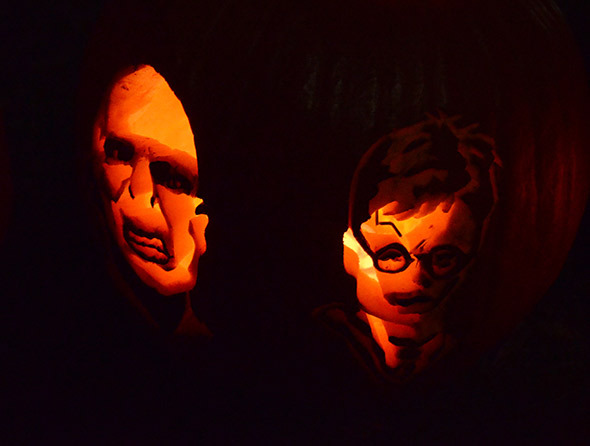 Designs ranged from the traditional smiling jack-o'-lantern to Jack Layton, with many other characters drawn from television and film â think Harry Potter (with Lord Voldemort on the flip side) and Kermit the Frog. 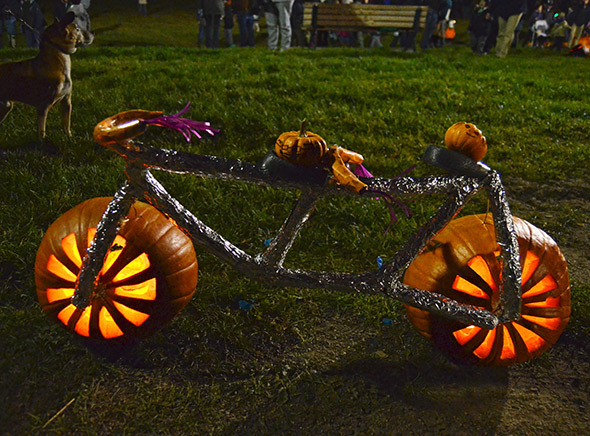 There were also the usual frightful stuff (witches, Satan, and, scariest of all, Rob Ford) as well as whimsical designs like the pumpkin man sitting on a toilet and the pumpkin bicycle. 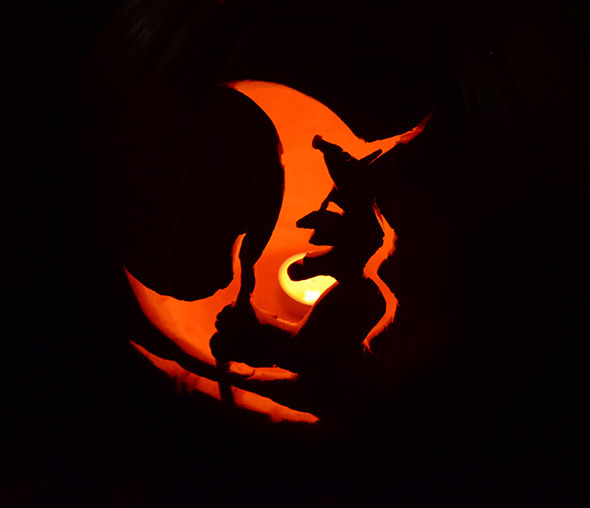 It was a perfect night with reasonably warm temperatures and a half moon to lend some light to the pathways. 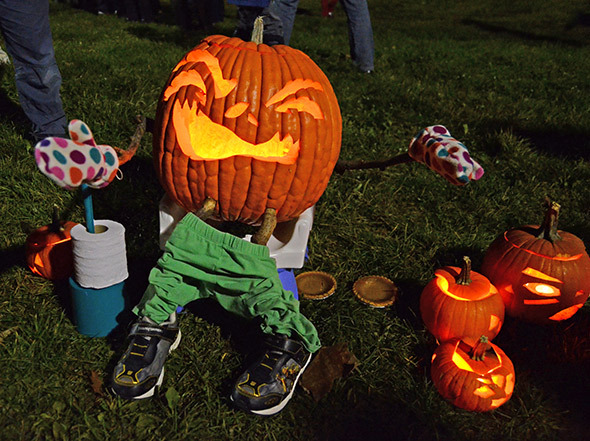 East Lynn Park has a similar event each year, but Sorauren remains the main draw on account of its size and the novelty of its jack-o'-laterns. 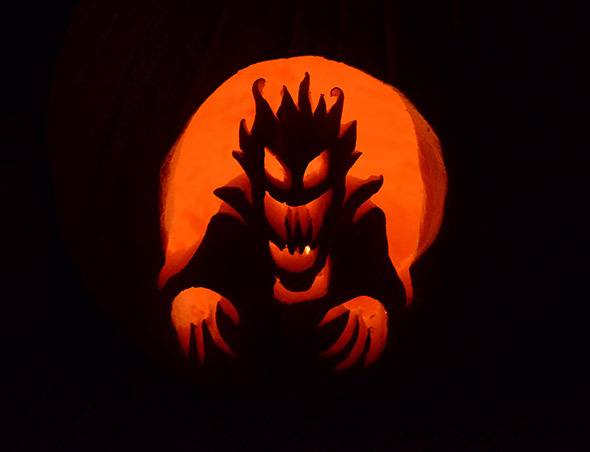 Wanna see more jack-o'-laterns? 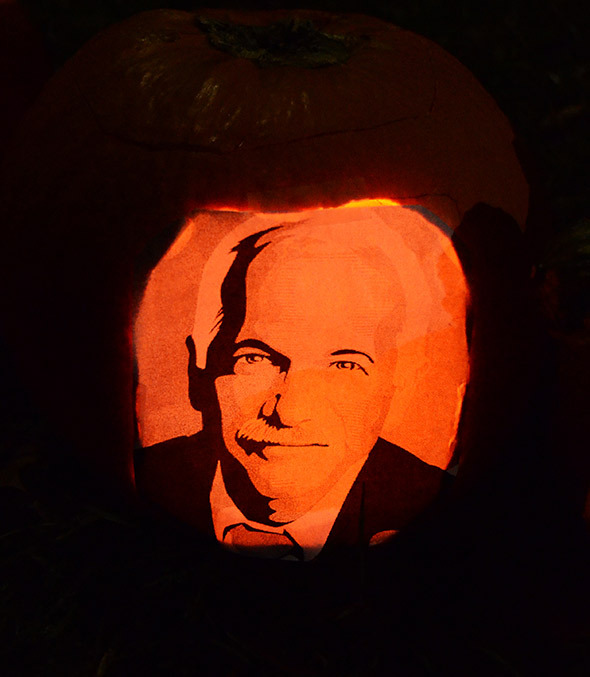 Hamish Grant was also on hand to shoot the Pumpkin Parade. 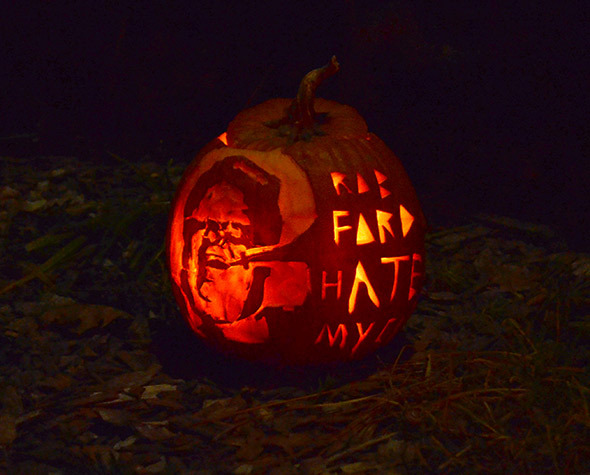 Check out his shots in the slideshow below.